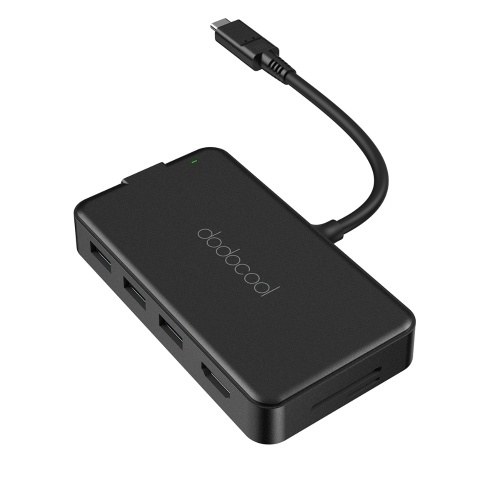 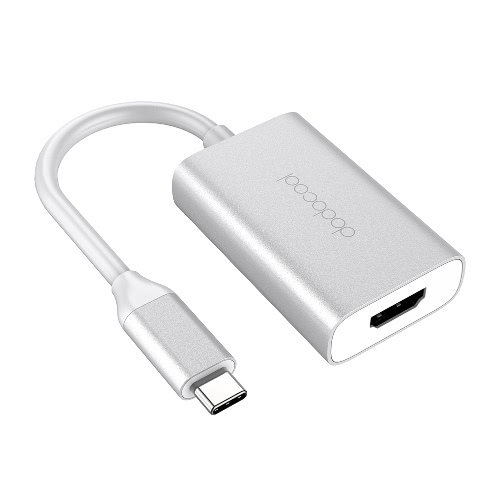 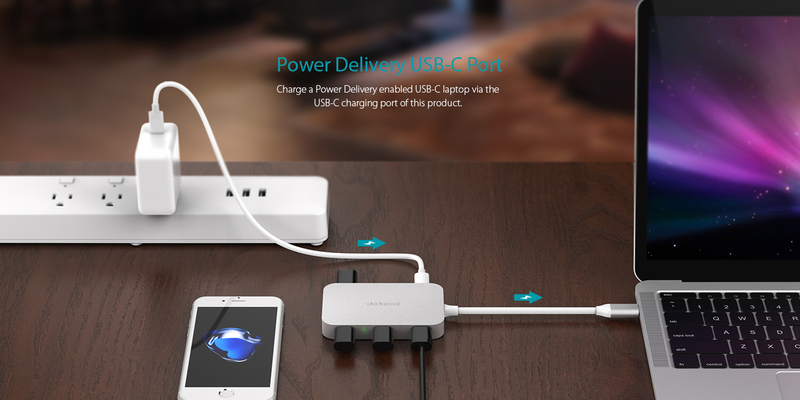 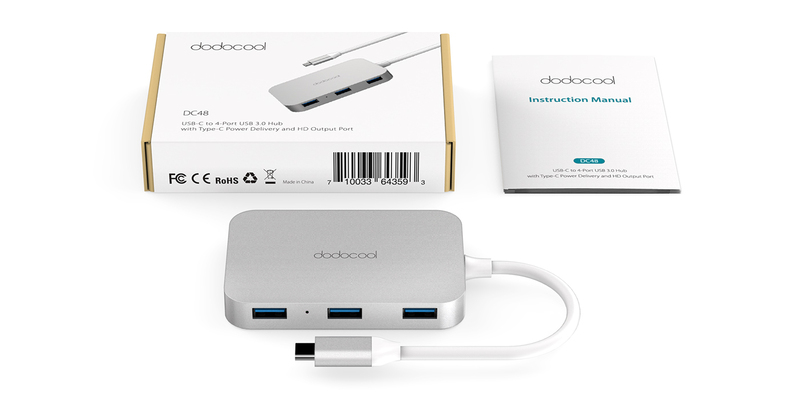 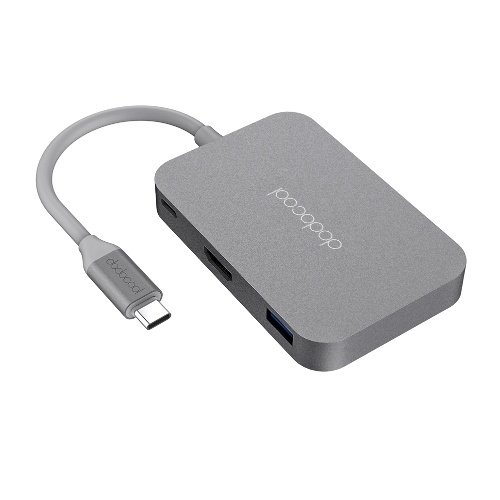 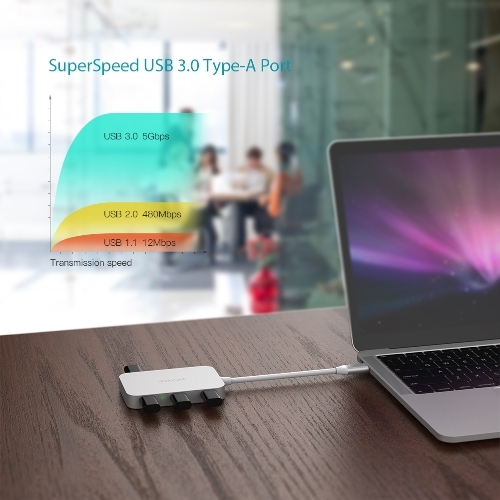 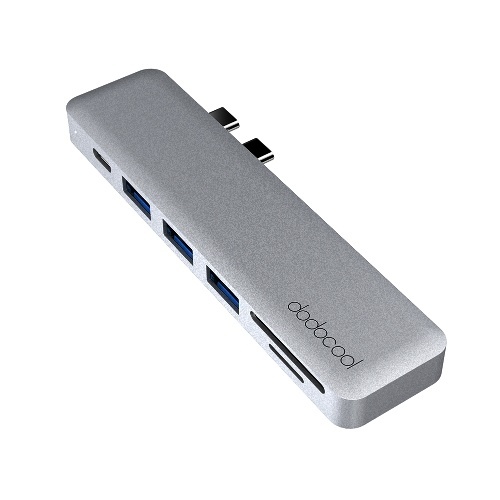 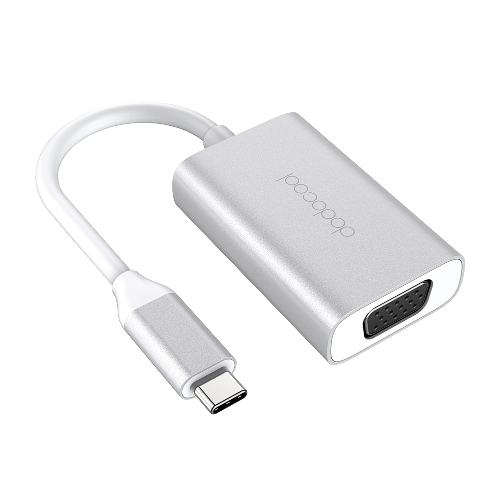 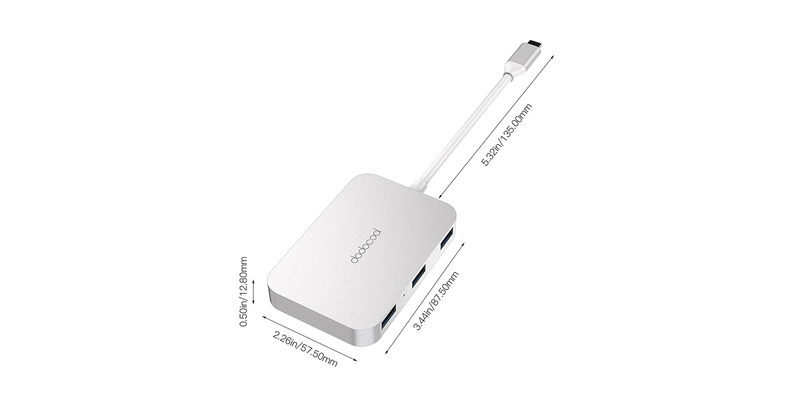 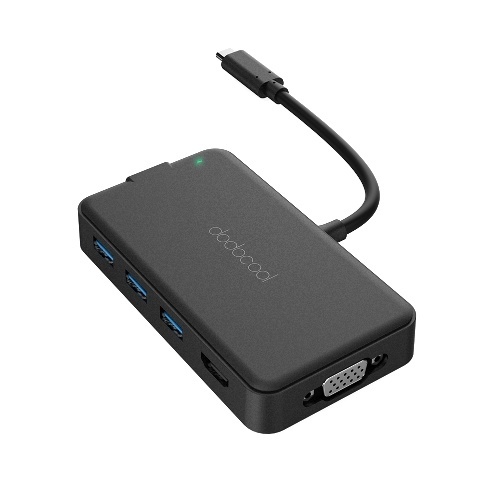 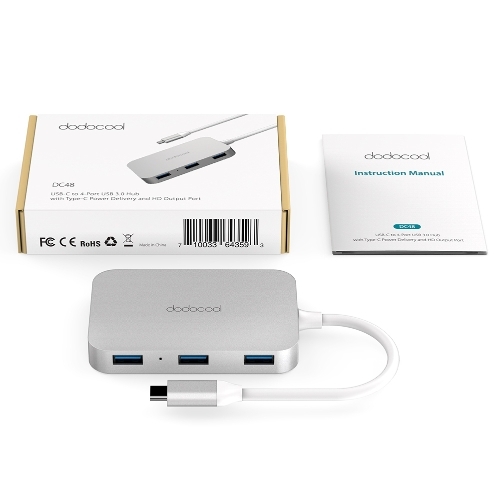 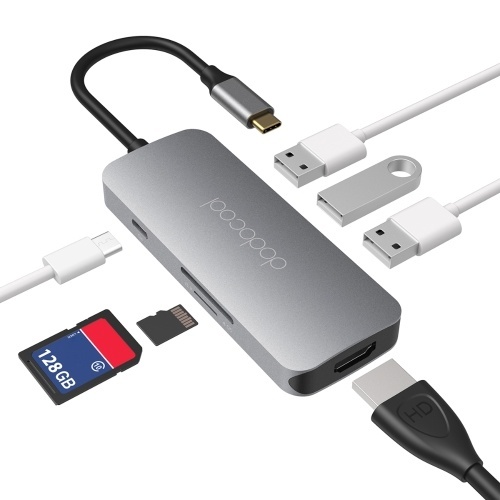 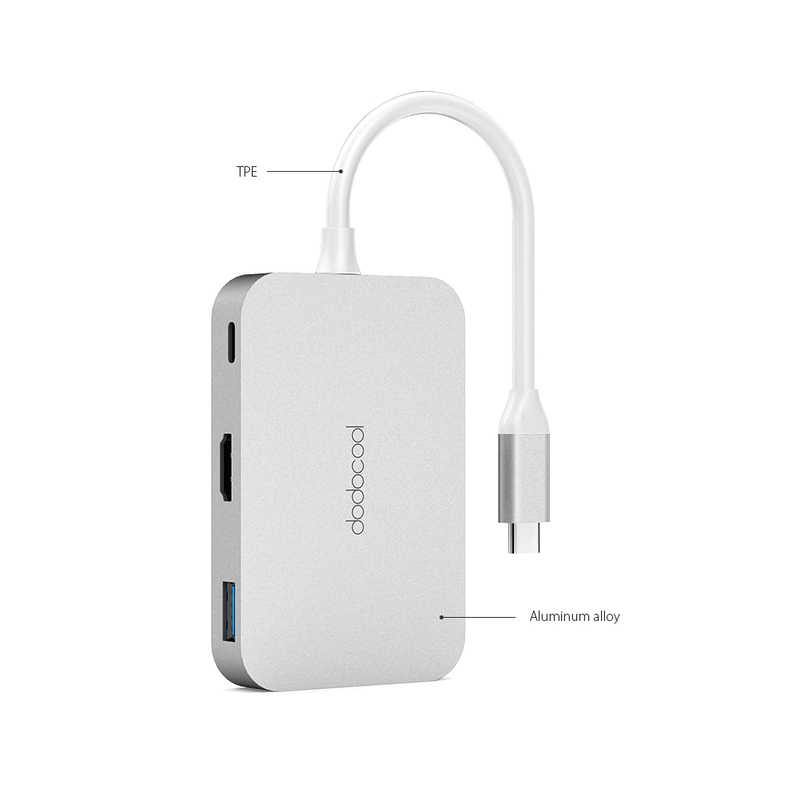 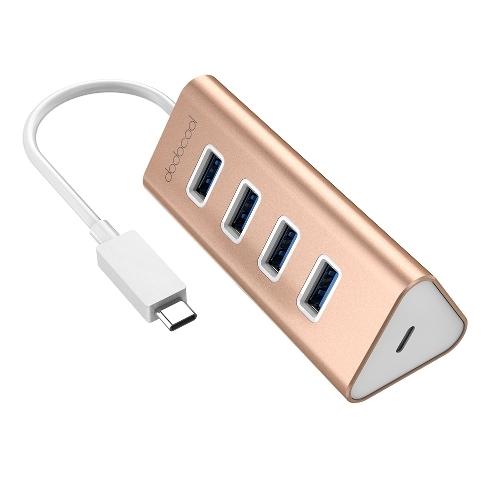 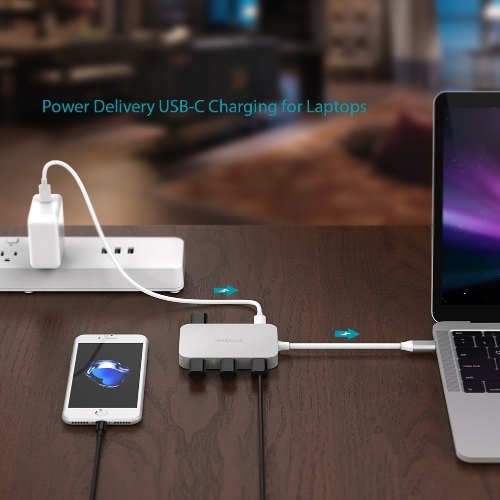 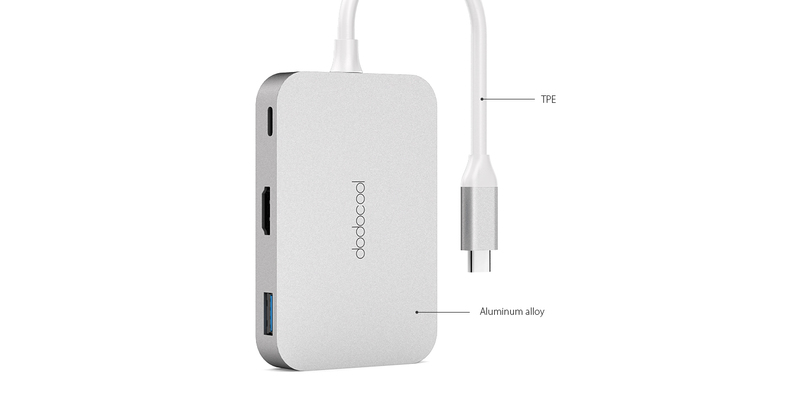 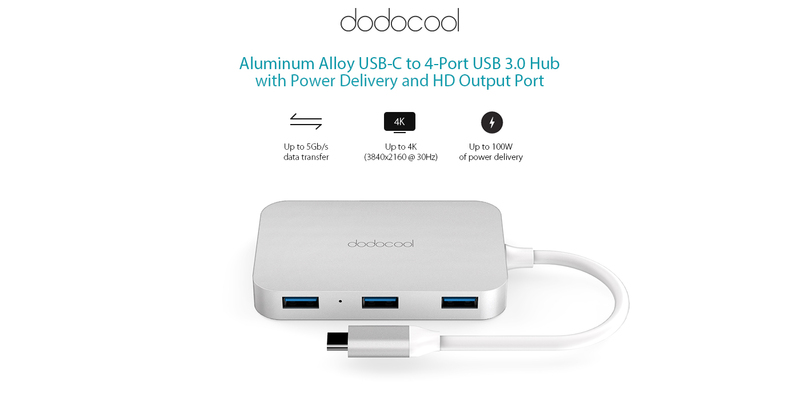 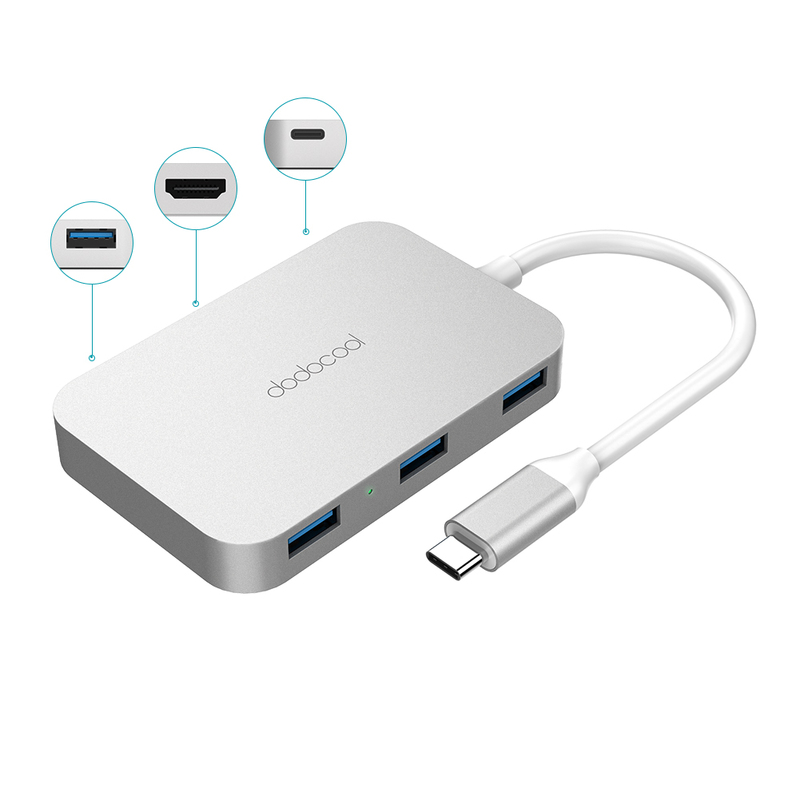 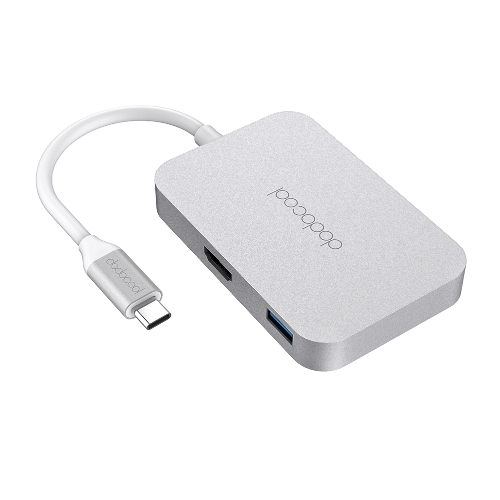 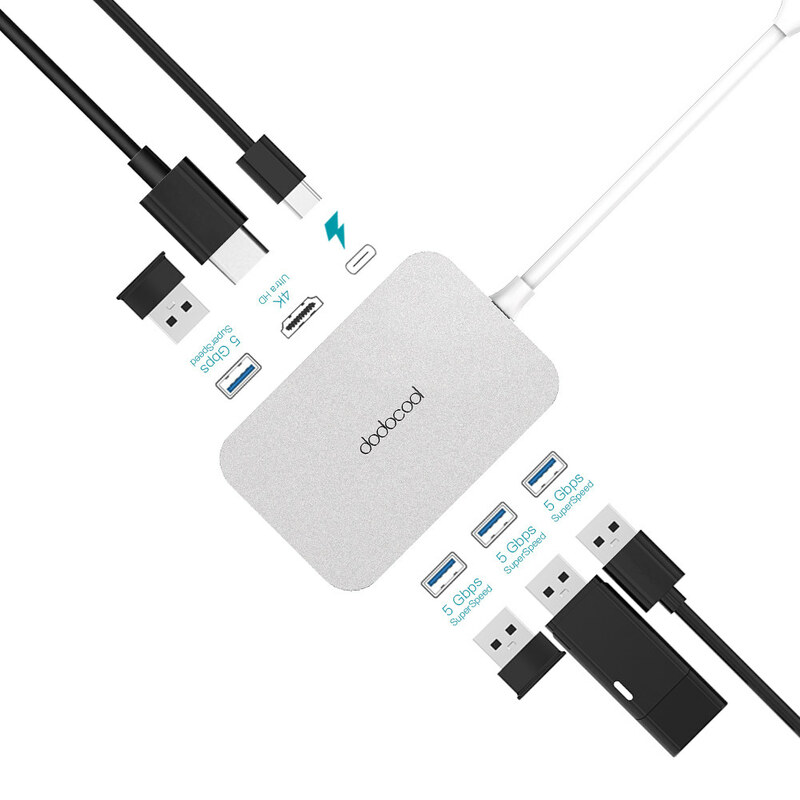 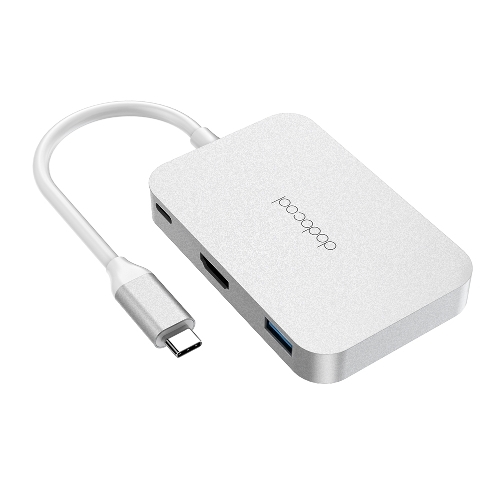 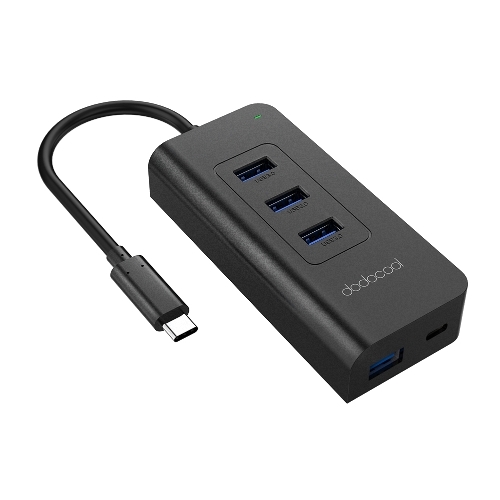 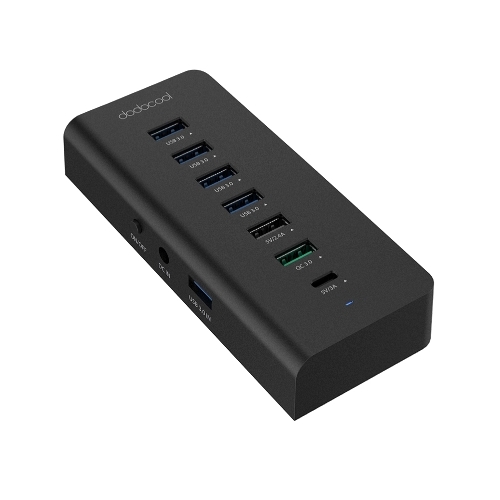 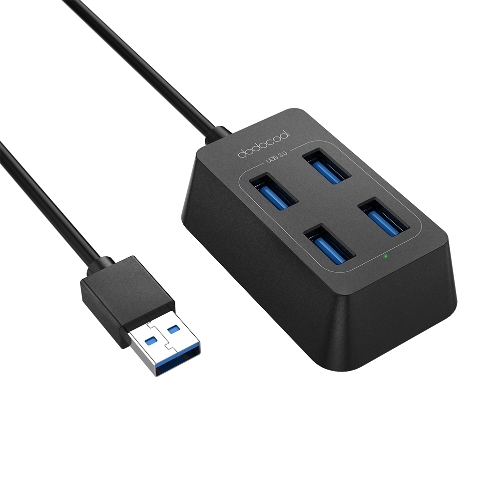 dodocool USB-C to 4-Port USB 3.0 Hub with Type-C Power Delivery and HD Output Port is an ideal solution for laptops and other devices with an available USB-C port or Thunderbolt 3 (USB-C) port. 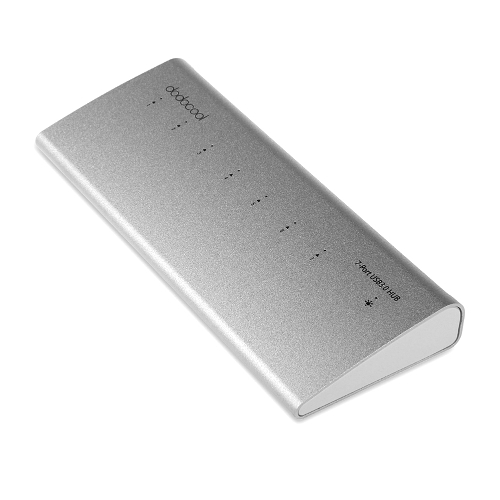 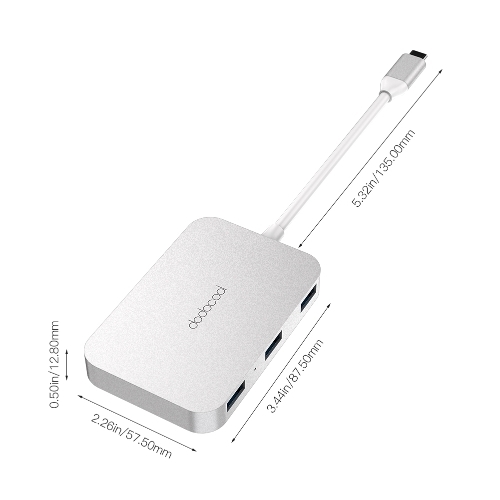 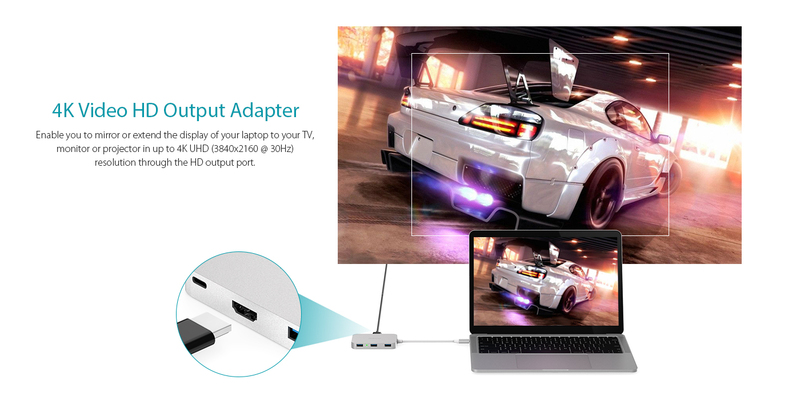 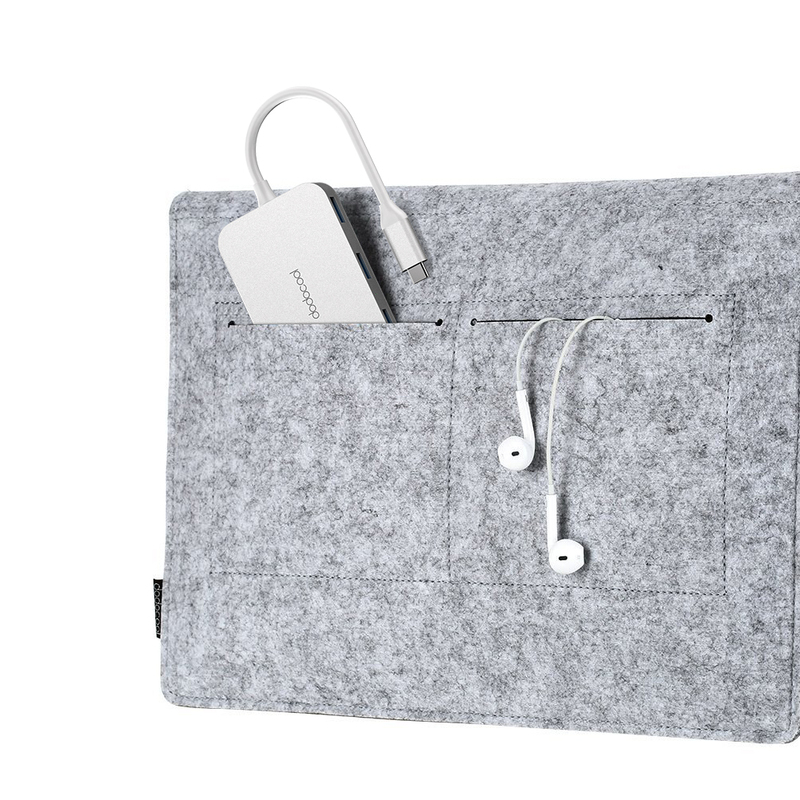 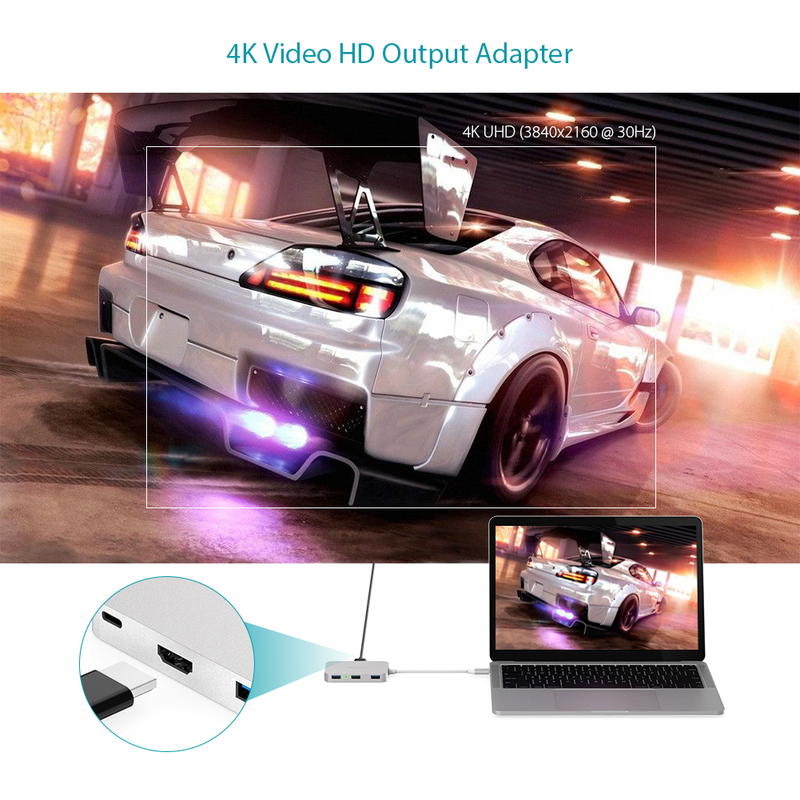 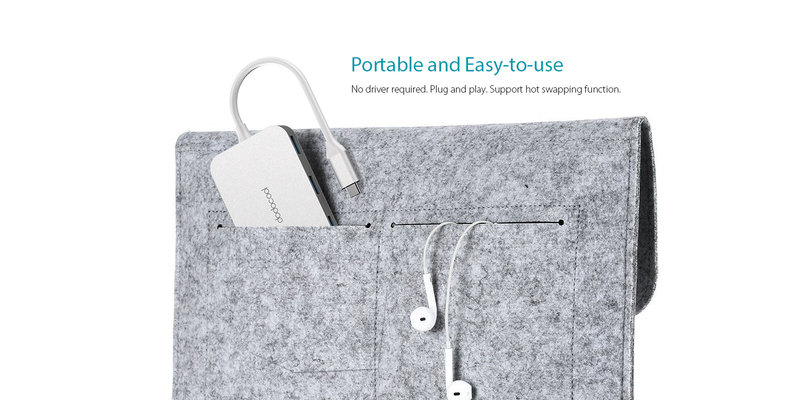 It enables you to charge your MacBook Pro, MacBook, Google Chromebook Pixel or other USB Power Delivery supported USB-C devices with their original charger while simultaneously streaming videos via the HD output port and transferring files through the USB 3.0 Type-A ports. 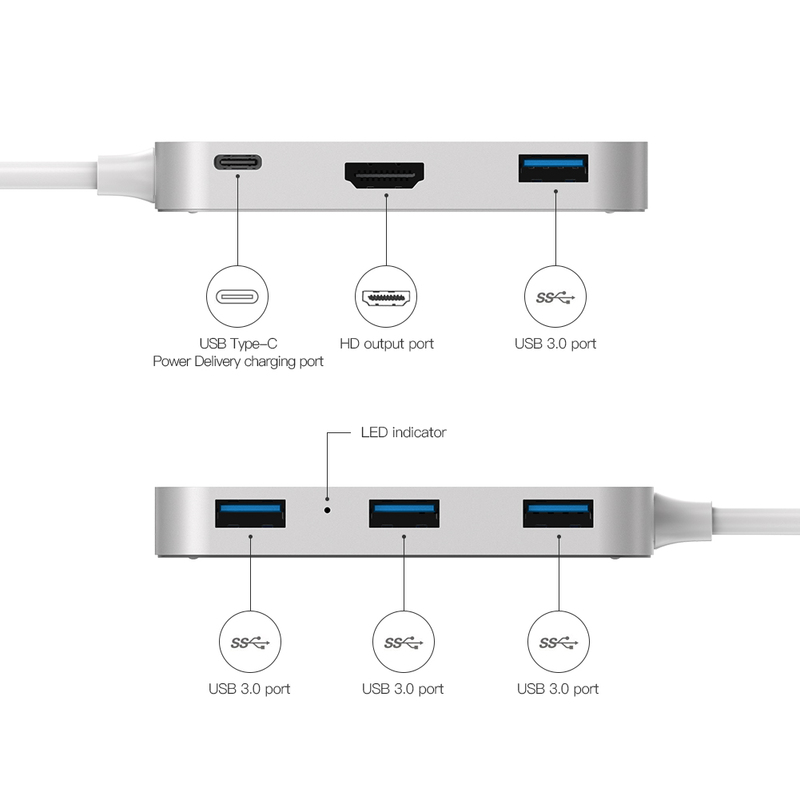 Extend four SuperSpeed USB 3.0 ports, one Power Delivery USB-C charging port and one HD output port from one USB-C port or Thunderbolt 3 (USB-C) port. 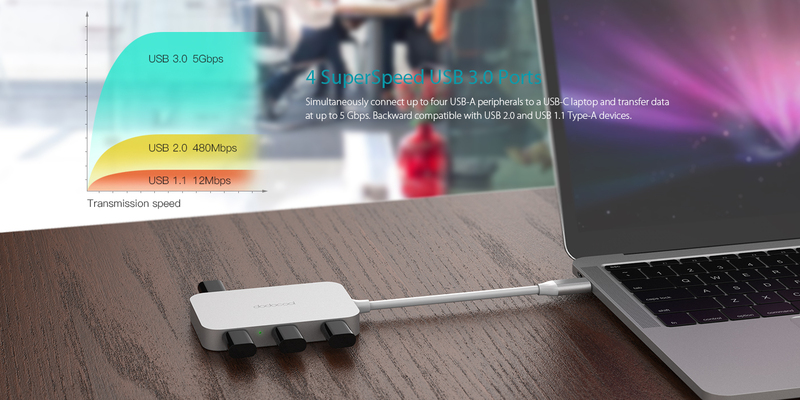 Simultaneously connect up to four USB-A peripherals to a USB-C laptop and transfer data at up to 5 Gbps. 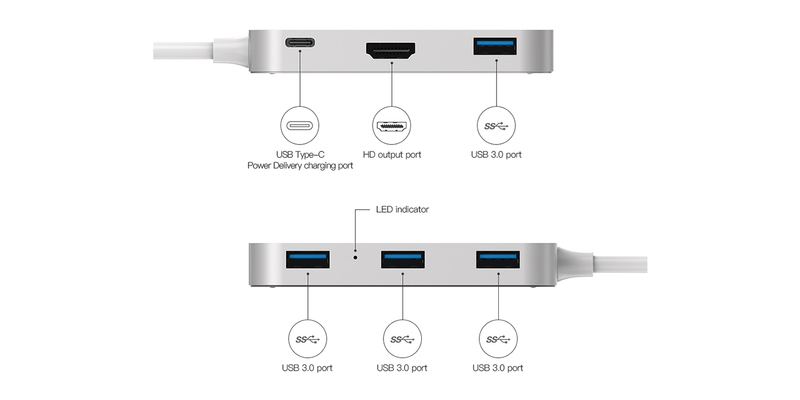 Backward compatible with USB 2.0 and USB 1.1 Type-A devices.